Are you a consumer who purchased a Big Chill or Blue Star range or wall oven to be installed as part of your custom kitchen design between 2015 and 2017? Keep reading to find out more about the recall program Prizer-Painter Stove Works recently announced, whether or not your range/wall oven is involved, and other important information for consumers. Prizer-Painter Stove Works issued a recall of some of their free-standing range models and one of their wall oven models on September 11, 2018. This was done in cooperation with both the U.S. Consumer Product Safety Commission (CPSC) and Health Canada. Specific model and series numbers are listed on Prizer-Painter Stove Works’ recall website, as well as the U.S. CPSC and Health Canada recall notice postings.All of the units were manufactured in the United States and sold to consumers between Fall 2015 and Fall 2017. Customers purchased these ranges or ovens at specialty appliance stores or from kitchen equipment dealers across the U.S. and Canada. Purchase prices range from $3,300 to $18,100.Around 7,100 units sold in the United States are affected. The number in Canada stands at around 2,600 units, for a total of around 8,700 ranges and ovens. So far, 61 incidents have been reported to the U.S. CPSC and Health Canada. 51 of these incidents occurred in the United States, and 10 in Canada as of the end of August 2018. Owners reported seeing flames and flares resulting from delays in the gas igniting.Seven of the incidents reported in the United States and two in Canada note minor burn injuries as a result of flames and flares. Since the summer of 2015, there have been three other recalls involving ranges and burn hazards. Although the hazard was not burn-related, Prizer-Painter issued a recall of some of their residential gas wall ovens because of damaged flexible gas appliance connectors in early 2013. Be sure to have the series line, model number and serial number when you make the call. Whether you purchased the wall oven or the range, you should be able to find the model and serial numbers on the serial plate. The serial plate is located in different places, depending on the type of unit. Not sure if your range is an open burner or sealed burner? The shape of the burners will tell you which one yours is. If the burners are star-shaped, your range is an open burner. If the burners are round-shaped, you have a sealed burner range. Blue Star and Big Chill have recall notices posted on their brand websites. Consumers who purchased a Blue Star brand range or oven can check the status of their appliance on the Blue Star recall notice pages. Consumers who purchased a Big Chill range can check the Big Chill recall notice page. This information is also listed on the U.S. CPSC and Health Canada notices pages. If you find your range or wall oven is on the list, contact Prizer-Painter Stove Works through the hotline number listed above to take any further steps. While we are well-equipped to handle recall-related repair work, we always recommend reaching out to the manufacturer of the appliance in question before reaching out to us or any other appliance repair service. In the case of this current recall, we strongly advise contacting Prizer-Painter Stove Works through the avenues listed above if you believe your range or wall oven is involved. 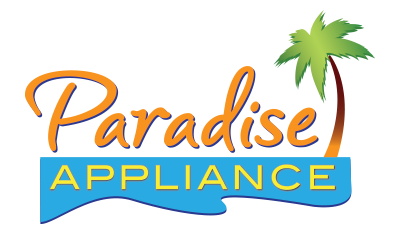 For any other appliance repair concerns, however, feel free to contact us any time you have questions or visit our website to schedule our services.